Creativity is key to self-expression and exploration, but even a true visionary can use some inspiration every now and then. Chip away at creative blocks with books replete with insights, activities, and challenges that are sure to inspire and motivate. In Handmade Houseplants, expert crafter and tastemaker Corrie Beth Hogg offers a no-water option for your urban jungle: plants made from paper! This stylish guide includes step-by-step instructions and templates for making 30 of the most popular houseplants, from monstera and peperomia to fiddle leaf fig and philodendron. Best-selling author and tiny house enthusiast Derek “Deek” Diedricksen profiles 40 tiny — but practical — houses that are equipped for full-time living, all in 400 square feet or less. With tips on what to consider before you build, along with framing plans for a prototype small cabin, Micro Living is the perfect starter handbook for both dreamers and doers. Before picking up the trowel, pick up the stickers! With 150 reusable illustrated stickers — representing dozens of plant cultivars that are versatile, readily available, and suitable for most temperate growing zones — plus a fold-out design board and a book teaching five easy steps of garden design, you’ll have everything you need to create your vision of the perfect garden. Founded in a historic nursery in southeast Pennsylvania, Terrain is a nationally renowned garden, home, and lifestyle brand with an entirely fresh approach to living with nature. It’s an approach that bridges the gap between home and garden, the indoors and the outdoors. An approach that embraces decorating with plants and inviting the garden into every living space. With inspiration for every season, Terrain blurs the indoors and out to bring the subtle and surprising joys of nature into our lives every day. They’re often behind the scenes, letting their work take center stage. But now Nathan Williams, founder and creative director of Kinfolk magazine and author of The Kinfolk Table, The Kinfolk Home, and The Kinfolk Entrepreneur—with over 250,000 copies in print combined—brings more than 90 of the most iconic and influential creative directors into the spotlight. In The Eye, we meet fashion designers like Claire Waight Keller and Thom Browne. Editorial directors like Fabien Baron and Marie-Amélie Sauvé. 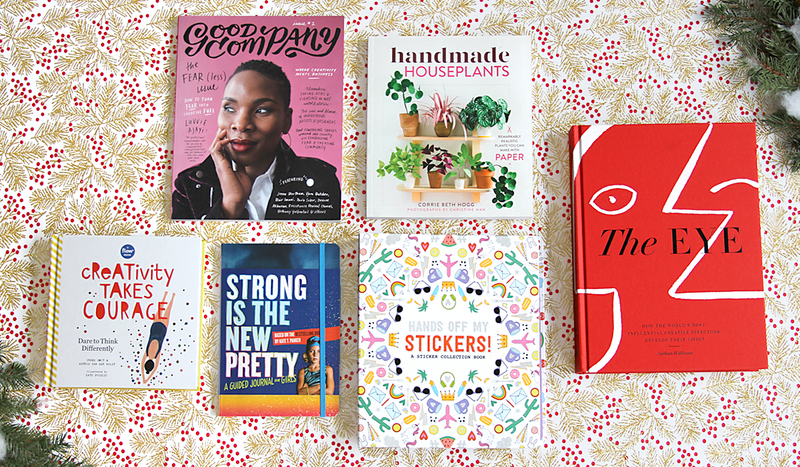 Inspired by the success of her latest book, In the Company of Women, Grace Bonney's Good Company will provide motivation, inspiration, practical advice, and a vital sense of connection and community for women and nonbinary creatives at every stage of life. Each issue of Good Company focuses on one overarching theme, including Change, Fear, Community, Mentors, and much more. In Creativity Takes Courage, Flow brings together inspiration, hands-on projects, boundary-pushing activities, and special paper goodies to show readers how to unleash their inner artists. It’s not always easy to be creative—to give our minds space to roam while ignoring our inner critic, to stare down a blank page and make the leap from nothing to anything. It takes courage. 11. Hands Off My Stickers! Life is just better with stickers . . . and now you have the perfect place to keep them! A collection book for sticker lovers, Hands Off My Stickers! includes five supersized glossy fold-out pages in a rainbow of colors, giving you tons of space to store, organize, and have fun with your stickers. Bonus: You'll find three sticker sheets inside (matte, puffy, and glitter!) 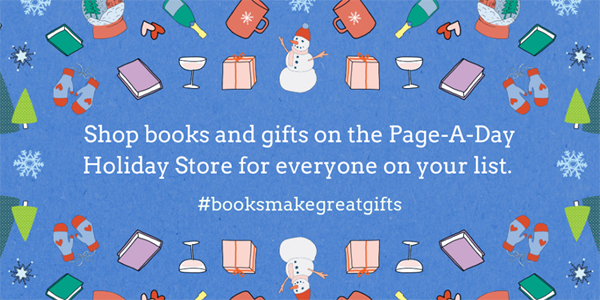 to decorate and customize each page. Start building your sticker empire!